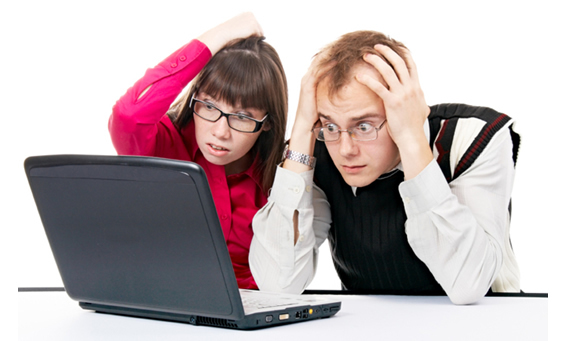 Tired of navigating the confusing waters of health insurance alone? Let Preferred Health Insurance Solutions help you through the enrollment process! Confused about the Affordable Care Act? Losing your employer provided insurance? Thinking about buying health insurance, a Medicare Supplement plan, or other health product but aren’t sure where to start? Click one of the options above to find your Enrollment Solution. COBRA is a federal law that may let you pay to keep you and your family on your employee health insurance for a limited time (usually 18 months) after your employment ends or you otherwise lose coverage. If you lose your job and with it your job-based health insurance coverage, you may have the option of keeping your health insurance for a limited time through COBRA continuation coverage or you may buy an individual plan through the Marketplace. Consumers can shop and compare health plans through the Health Insurance Marketplace. Consumers may be eligible for tax credits to help pay parts of their health insurance premium if they purchase a plan on the Marketplace. In some states, Medicaid will expand to cover people whose household income is below 138% of the Federal Poverty Line. The Affordable Care Act requires nearly all Americans to purchase and maintain minimum essential health insurance coverage or pay a penalty when filing their federal income tax returns. Who is required to buy health insurance? As of January 1, 2014, most U.S. citizens and legal residents will need to have minimum essential coverage in order to avoid the tax penalty. If you have insurance through your employer or through a government sponsored program like Medicare or Medicaid, then you may not need to purchase coverage through the Marketplace. If you are currently uninsured or are losing your current coverage, then you may benefit from shopping on the Marketplace. There may be government assistance available for you to lower your premiums and out-of-pocket costs. Who is eligible for premium and other financial assistance? If you select a Silver Level QHP then you may also be eligible for cost-sharing reductions which can lower your out-of-pocket costs. See more about the Metal Levels below. Where can I purchase health insurance? People can go on the health insurance marketplace to view their health insurance options. Some states created their own marketplace, while other states are relying on the federal government’s marketplace. PHISOnline.com (www.PHISOnline.com) can connect you to health plans available both on and off the health insurance marketplace. Our agency has licensed and certified representatives who can help you select the best plan for you and any of your family members. To speak with an enrollment representative, call 1 (800) 342-0631. What types of plans are available on the Marketplace? The Marketplace has both individual and small group plans. Each individual plan is associated with a metal tier based on its actuarial value. The Actuarial Value level can help you estimate how much you will pay after you pay your premiums. Can insurance companies charge extra premium based on previous treatment for health conditions? No! Beginning January 1, 2014, individual and small group health plans can no longer charge additional premium based on pre-existing conditions or gender. They can, however, change your premiums based on your age, whether or not you use tobacco, and your geographic region. What else has changed for health insurance? Medicare Hospital Insurance (Part A), as well as Medicare Supplementary Medical Insurance (Part B) is available to three basic groups of "insured" individuals: those over the age of 65, the disabled, and those with End-Stage Renal Disease (ESRD). Who qualifies for Medicare Part C (Medicare Advantage plan)? Individuals with Part A and eligible for Part B either through age or Disability can typically qualify for Medicare Part C (Medicare Advantage). Can I qualify for Medicare if I am under age 65, but on Disability? Yes, a person on Disability becomes eligible for Medicare in their 25th Month of Disability regardless of their age. Can I purchase a Medicare Advantage plan with Drug coverage and a stand-alone Drug plan? No. If you have a Medicare Advantage plan and enroll in a stand-alone Prescription Drug plan it will dis-enroll you from your Medicare Advantage plan. The only exception to this rule is if you have a Private Fee for Service Medicare Advantage plan without prescription coverage. I am on Medicare and I am a Veteran. My neighbor said I had to buy a Part D prescription drug plan or I would have a penalty, is this true? No. If you are a Veteran, you can use your VA benefits and you will not be penalized because the formulary is equivalent to the standard. I am a healthy senior and I don’t take Medicine. Why should I purchase a Part D prescription Plan? The Centers for Medicare and Medicaid Services are depending on all Medicare-eligible people to have a prescription plan to ensure the program works. If you do not purchase a Part D plan, you will have a penalty of 1% of the average drug plan cost. This penalty is cumulative and does not go away. The best solution is to purchase a low cost Prescription drug plan to avoid a penalty. 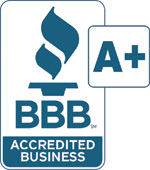 Call 1 (800) 342-0631 or email info@PHISOnline.com so we can help you find the plan that best fits your needs today! If you would like a representative to call you with plan quotes, please click here and fill out the form. 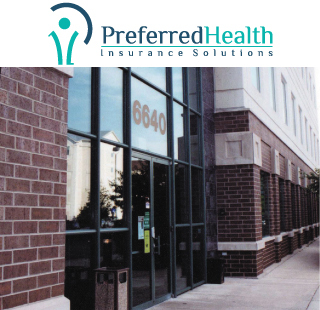 Preferred Health Insurance Solutions disclaims any affiliation with any governmental agency. We are a source for you to obtain health insurance, both on and off the marketplace, with national and regional health insurance carriers across the country. We have been in health insurance since the 1990’s, our multi-lingual company is staffed with licensed and certified agents who will answer your questions and help you through the enrollment process. We will help you determine what subsidy you may qualify for, explain benefits, advise you of complicated insurance issues, help you shop for the right plan that meets your specific needs, and enroll you for coverage. You can expect “Quality Service from Caring Professionals”.